this morning i woke up with a headache but was bound and determined to go workout. i really didn't want to, but i needed to. 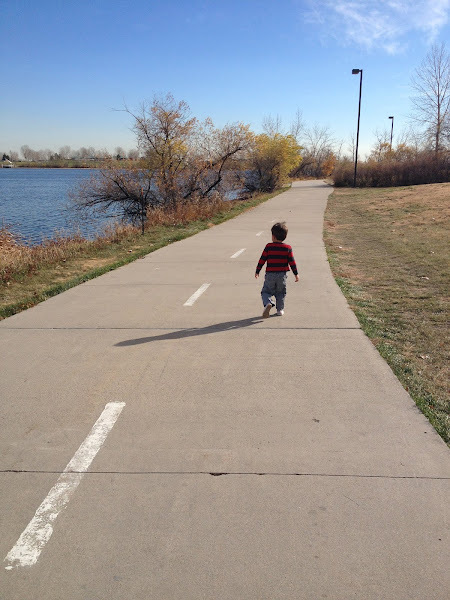 while on our way to the rec center, my little guy told me he had to go potty. i told him he could go as soon as we got there. i wasn't worried, because he has been potty trained for over a year now and doesn't have accidents. plus, he told me he could hold it until we got there, so we continued to drive on. once we arrived at the rec center, i pulled him out of his seat and realized he had gone potty in his car seat. i wasn't happy. i was quite angry. here i was at the rec center with no change of clothes, no wipes, no nothing. i haven't carried extra clothes or wipes for over a year, because we never need them. that was my fault. so back in the car we went. back home...no workout...and a huge mess to clean up. we got home, i gave him a bath and cleaned up the mess. we talked about if you really have to go potty you can always ask mommy to stop the car, so that you can go. i knew that i wanted to turn the situation into a teachable time. i decided that since we were not able to go to the rec center and i missed my class, he would have to come with me to the park and join me for a little workout. i knew that it really wasn't going to be a workout for me, nor too much fun but i knew it would reinforce a lesson he needed to learn. "i know buddy, i don't like the wind either. too bad, i couldn't have worked out in the nice warm rec center and you could have played in the playroom." "i know, it can't be easy keeping up with mommy. it will soon be over." "i want you to hold me." "i wish i could hold you, but i really need to workout and i'm too tired to hold you since i used most of my energy cleaning up the mess." i kept a quick walking pace. he pretty much ran the entire 1.4 mile. there was lots of crying. and snot all over his face. he was thrilled to be back at the car and was proud of himself that he had made it back. in the end, i know he learned...he told me, "next time, i will ask you to stop and i can go potty." i learned too...i really do need to have extra clothes, wipes, etc. just in case.